// noWHERE-NOWhere // » Is this the first use of the term „psychogeography“? Walter J. Fewkes (1904). 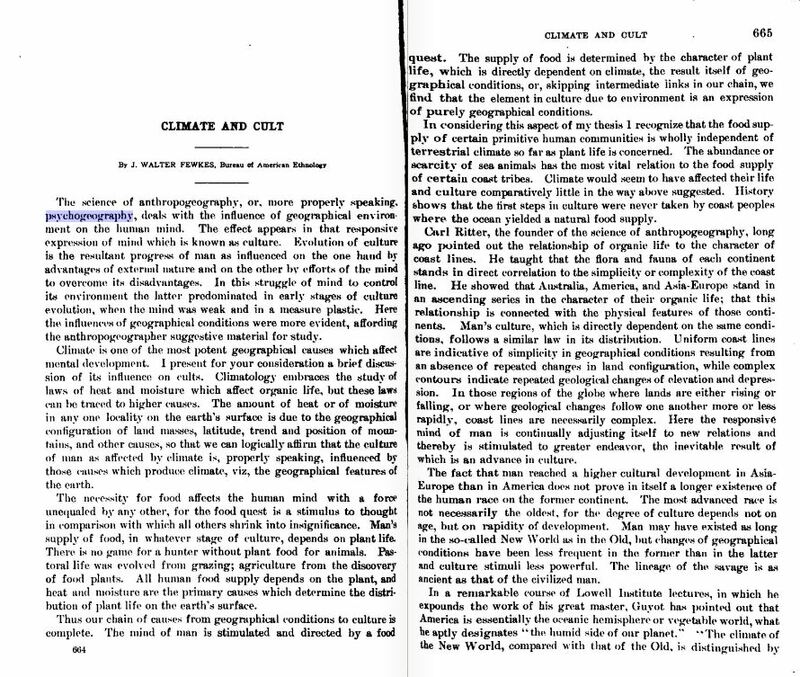 Climate and Cult. 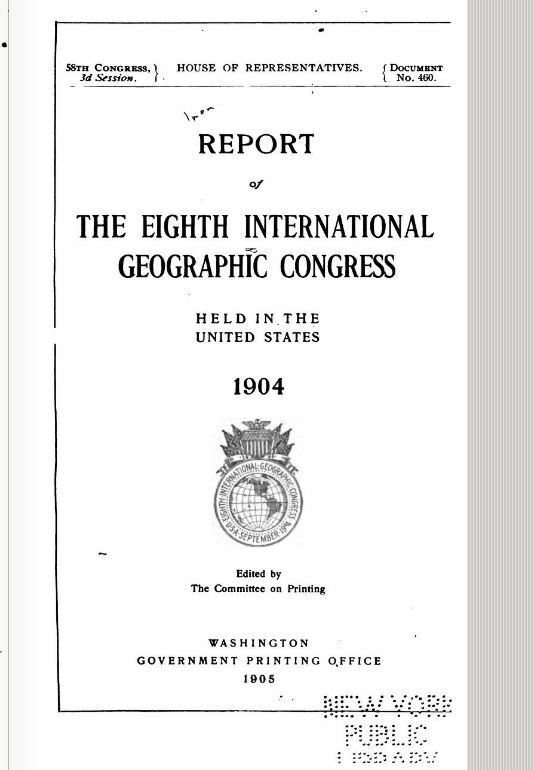 In: Report of the Eighth International Geographic Congress. pp 664.